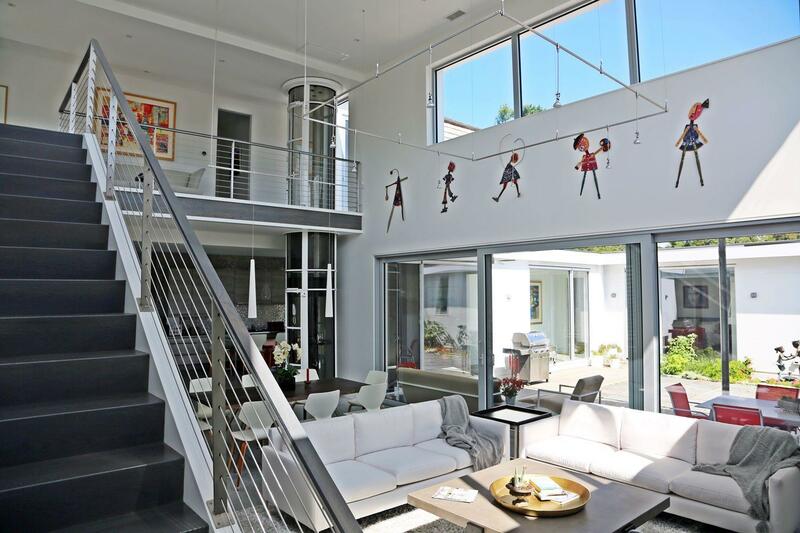 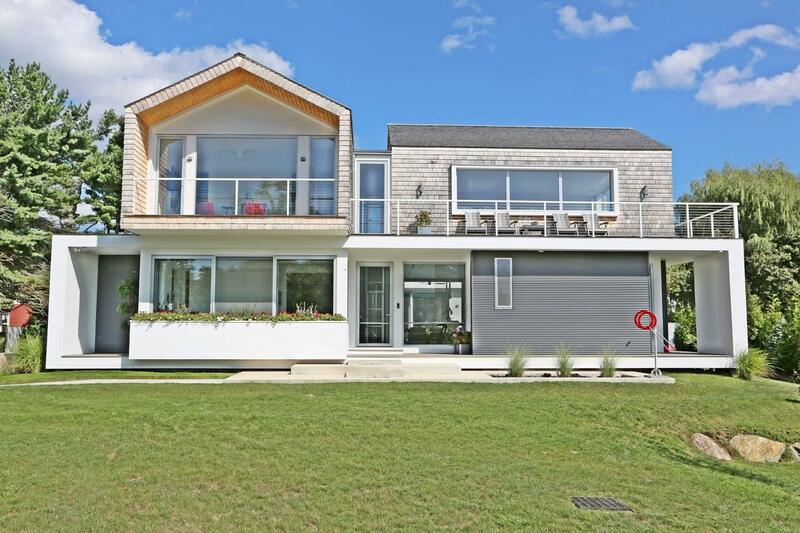 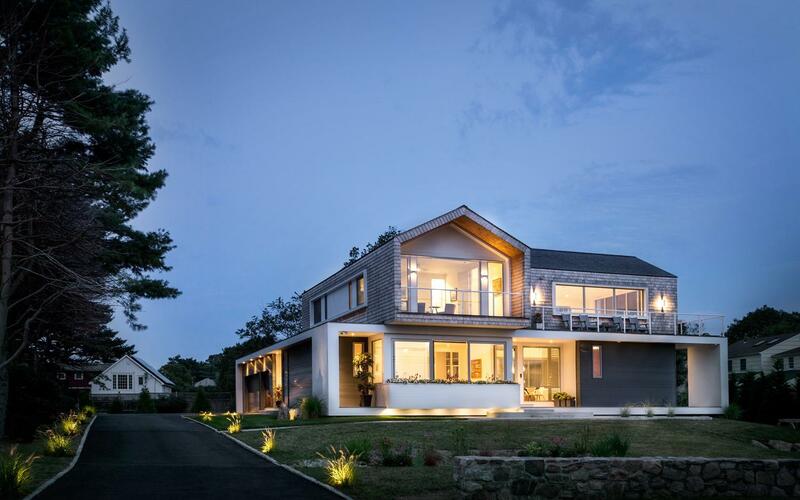 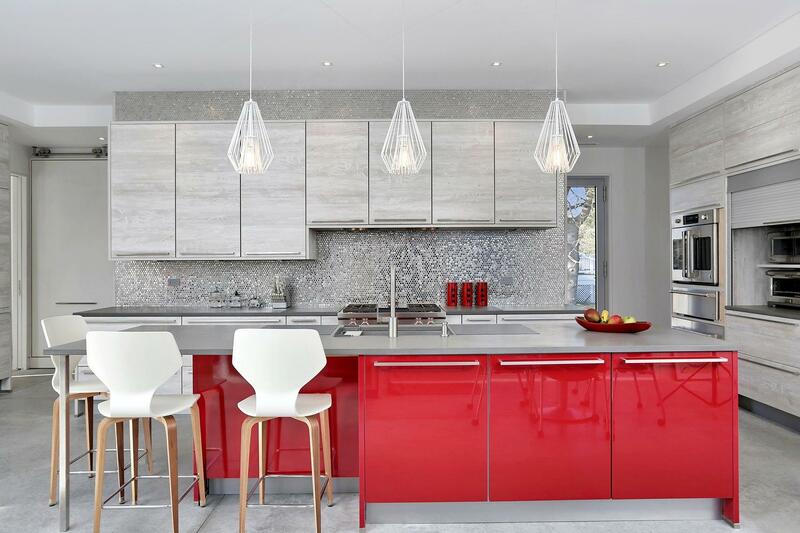 This custom contemporary in the Compo Beach area of Westport is home to a visual artist who had great input – her signature red pops up everywhere! 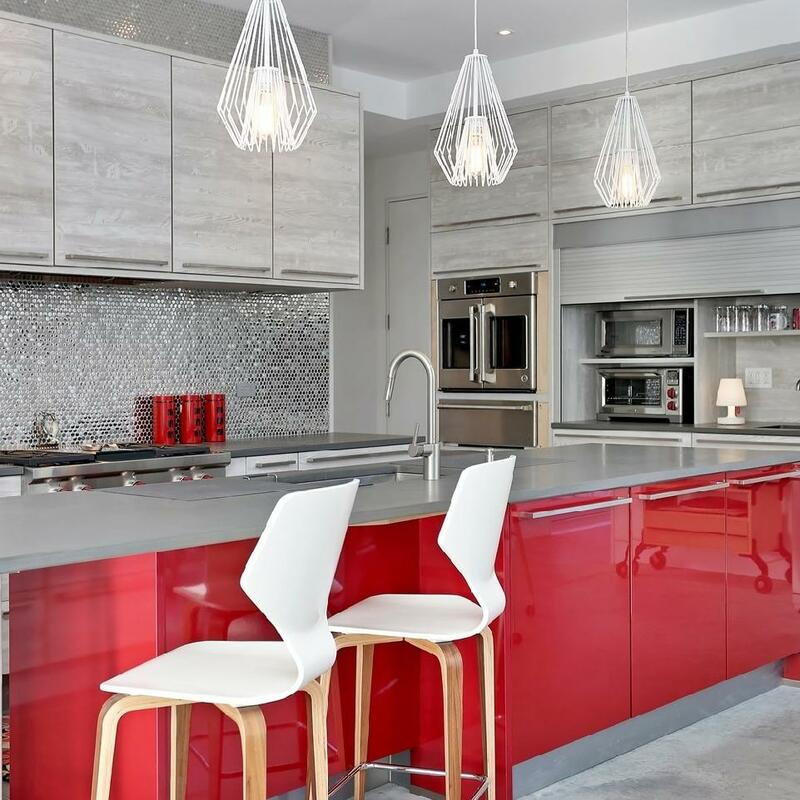 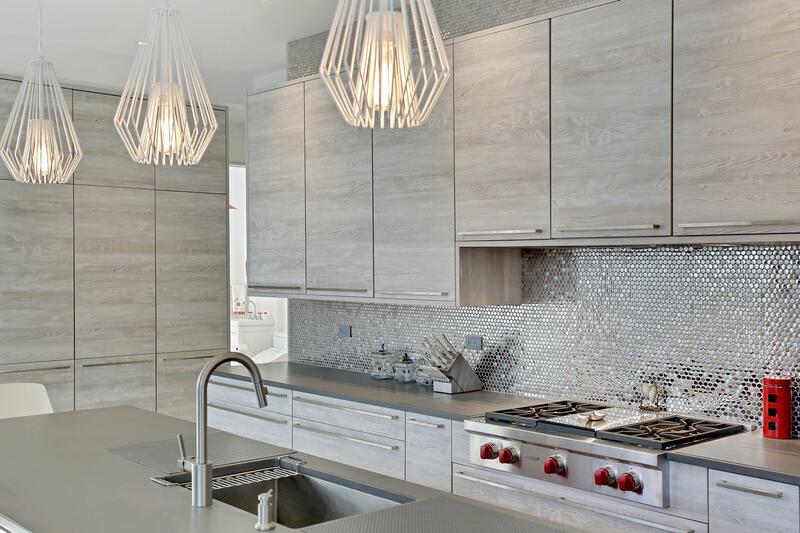 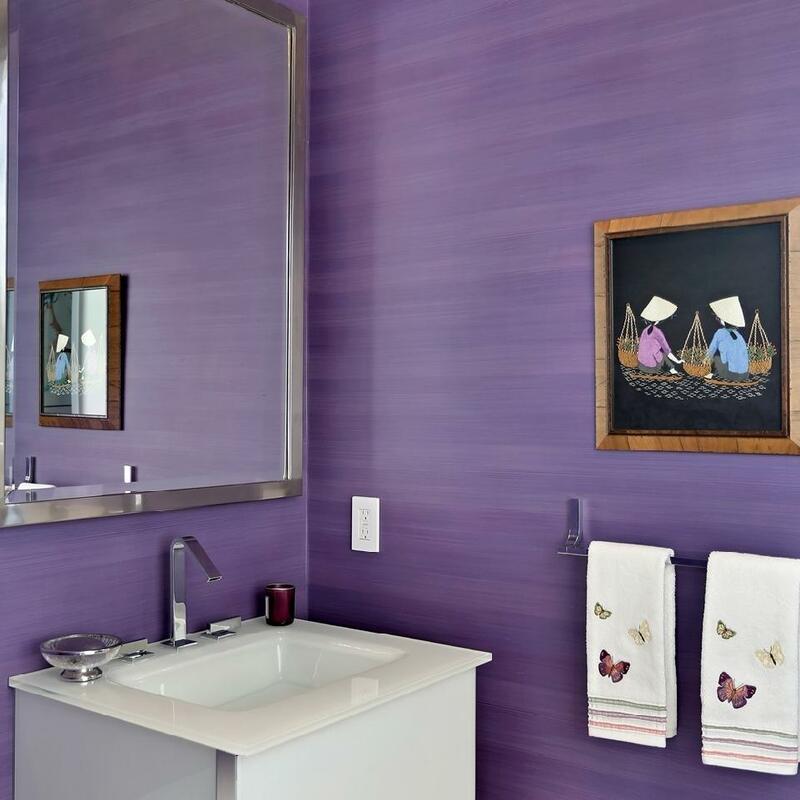 – in the unique designs of Vita Design Group and Kathy Davis Groener Interiors. 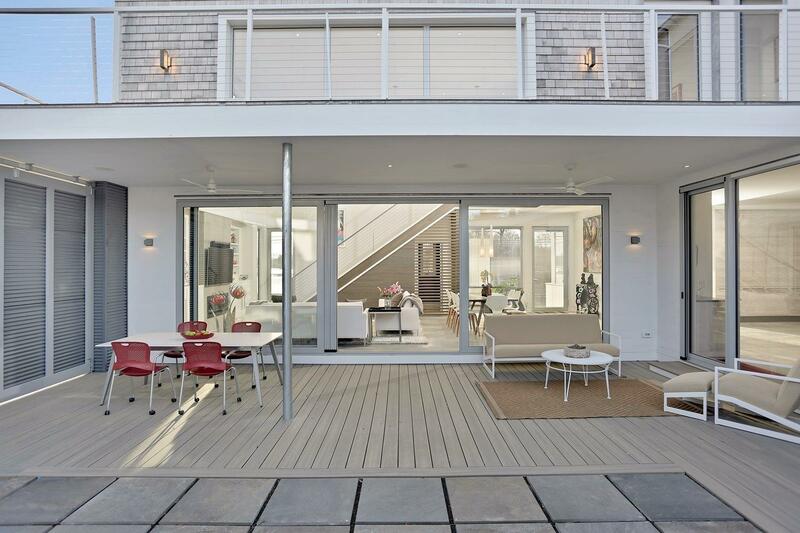 Oversize windows, balconies and a wraparound deck invite the outside in, and extend the interior living space into the outdoor setting. 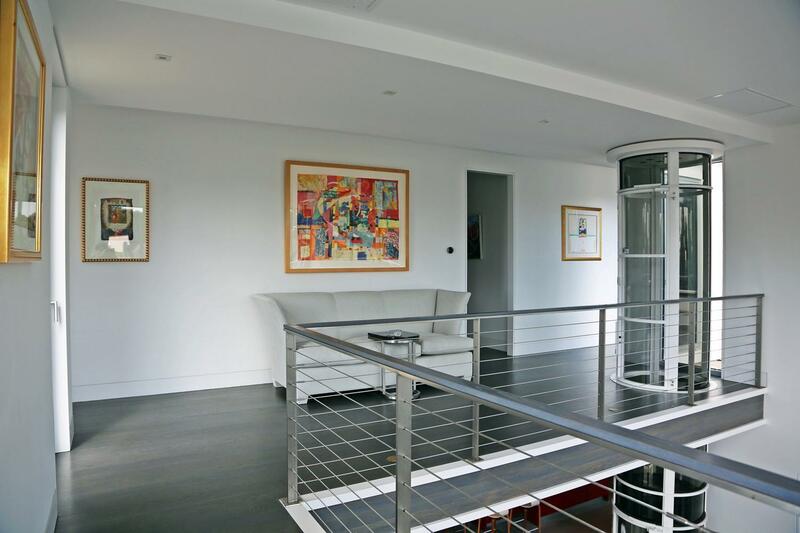 Highlights include a modernistic glass elevator, reminiscent of a bank pneumatic tube, and a zen-inducing central courtyard.